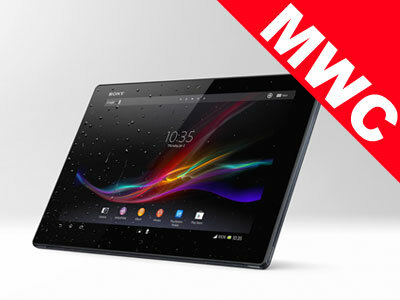 Sony Company globally introduced the long-anticipated Xperia Tablet Z at MWC 2013 yesterday, just a couple of weeks after it was exclusively launched on the Japanese market. Frankly speaking, Sony’s Xperia Tablet Z is a waterproof device you can take into the bath – but that’s not the only thing making it one of the loveliest Android tablets on the market, certainly it has what it takes to go toe to toe with any Android tablet on the market today. The new device joins Sony’s flagship smartphone, the Xperia Z, in offering consumers premium specifications with the best of Sony technology, entertainment, design and connectivity. The Xperia Tablet Z rocks a 10.1 with a resolution of 1920 x 1200, bringing you a very beautiful display that also takes advantage of Sony’s Bravia tech found in its TV sets. You’ll also get a 1.5 GHz quad-core Qualcomm Snapdragon S4 CPU, 2GB of RAM, 16GB/32GB of internal storage that’s expandable via a micro SD card slot, NFC, IR sensor, and 6,000 mAh battery. Like the new Xperia Z smartphone, the Tablet is is also dust and water resistant, which will extend the durability of the device. What makes the Xperia Tablet Z standout even more is just how thin and light it is. Thinner than even the Xperia Z handset, the Tablet Z is only 6.9mm thin, and weighs only 495 grams. Surprisingly enough for a tablet, Sony Xperia Tablet Z has a primary camera with an 8 megapixel Exmor R sensor and full HD video recording capabilities, while the front-facing 2 megapixel camera has HD video recording support, ideal for video calls. Starting at $499 for the 16GB version and $599 for the 32 GB variant, the Xperia Tablet Z will be a great addition to your living room, or just about anywhere else you’d want used leak detection equipment for sale to put it. With a price tag to match Apple’s iPad 4, will the Xperia Tablet Z be able to bite a big chunk of Apple’s tablet market share? Let us see!